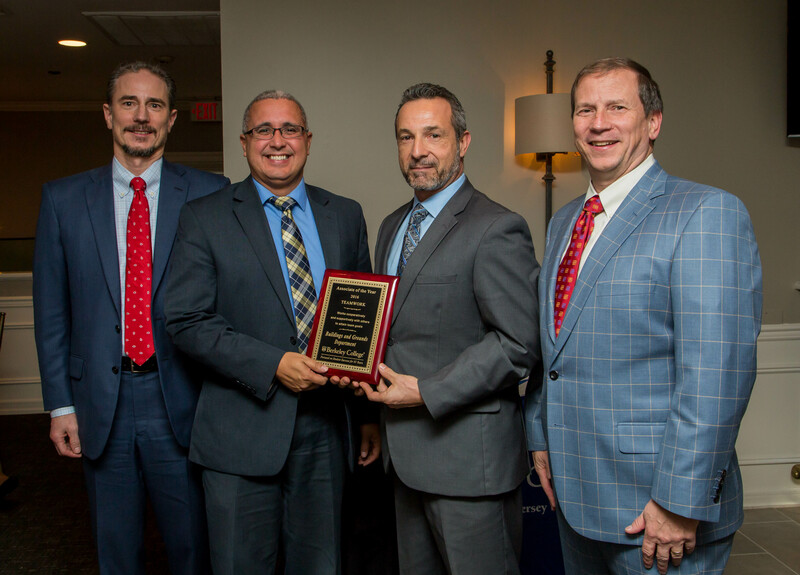 Accepting the award at the reception, on behalf of the Berkeley College Buildings and Grounds Department, are Carmelo Torres of West Milford, NJ, Senior Director Operations, NJ (second from left), and Mark Wagener of Randolph, NJ, Vice President, Operations (third from left). With them are Randy Luing Vice Chairman (far left), and, Kevin Luing, Board Chairman, both from Berkeley College. Not pictured: Peter Blankman of Vernon, NJ, Senior Director, Operations, NY. The Berkeley College Buildings and Grounds team is comprised of 35 associates who oversee 16 buildings throughout nine campus locations.